"Hello I’ve learned about the almond milk just recently and got me fascinated ... read full review"
A non-dairy liquid made from almonds that have been ground and blanched before being placed in hot water for 4 to 8 hours so the almonds become laden with moisture. 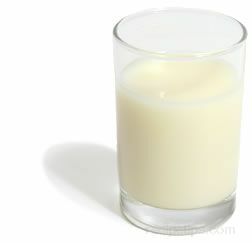 The almonds are then pressed and a milky liquid is forced out of the nut resulting in a liquid that becomes almond milk. The type of nut milk can be used for recipes requiring cow's milk or cream, adding a distinctive taste to the food being prepared. It is also a liquid that can be served as a beverage or as an ingredient for other types of prepared beverages.